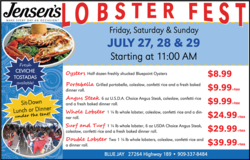 Jensen’s Finest Foods is once again flying in live Maine lobster to the San Bernardino Mountains as its Blue Jay location celebrates Lobster Fest from 11 a.m. to 7 p.m. Friday (July 27), Saturday (July 28) and Sunday (July 29). In addition to lobster, diners can also choose Bluepoint oysters, a grilled Portobello mushroom, or Angus steak. Garden salad, wine, beer, water, soda and fresh-baked blueberry peach cobbler will also be available. Prices range from $8.99 for half a dozen oysters to $39.99 for a pair of 1-pound lobsters. Dinners come with coleslaw, rice and a dinner roll. Also, on Saturday, there will be a Wine Walk from 1 to 5 p.m.
Plus, there are free concerts at nearby Lake Arrowhead Village beginning at 6:30 p.m. Friday and Saturday. Friday’s concert features the Fenians, an Irish/Rock group, and on Saturday, Martha Davis and the Motels will play. The event will end Sunday when supplies run out. The Blue Jay Jensen’s is at 27264 Highway 189. Lobsters invading Blue Jay this weekend! But don’t worry — they’ll be grilled…and delicious! The folks at Jensen’s Finest Foods will be flying in nearly a ton of fresh Maine lobster for their Lobster Tent Event Friday (August 27) through Sunday (August 29). 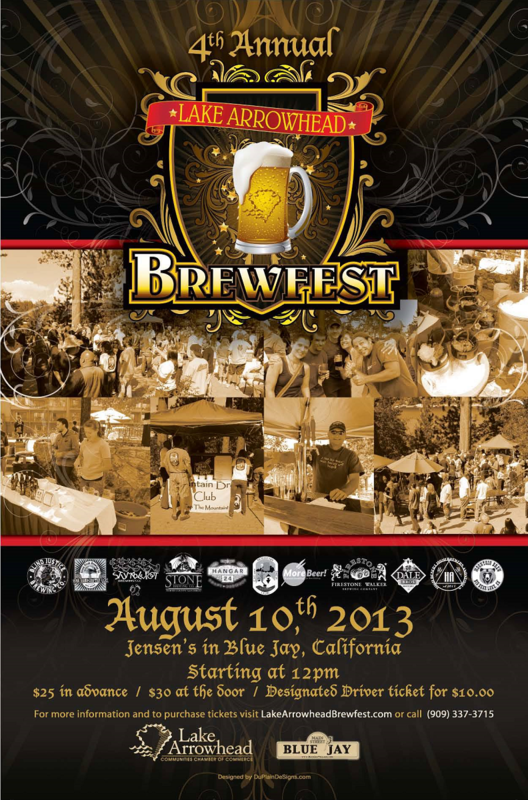 The event, in the parking lot of Jensen’s Blue Jay market (27264 Highway 189), will be held from 11 a.m. to 7 p.m. each day. Under the tent will be room for 100 crustacean-hungry diners. For only $15.99, you’ll get a whole 1-pound lobster which will be split and grilled, as well as rice pilaf, cole slaw and a fresh baked roll. Of course, no lobster dinner would be complete without melted butter and lemon, which will also be provided. If you prefer a Surf and Turf, you can add a grilled USDA Choice Angus steak for only $4 more. Beer and wine will be available, as well as salads, dessert and soda. The event is the brainchild of Jensen’s Meat and Seafood director Frank Dorame and Jensen’s Buyer Kim Grotewold. I’ve been to some of these type of lobster events in the past and had a lot of fun and a great meal. I’m thinking that eating a whole lobster in the fresh mountain air would be a perfect way to spend part of my weekend. 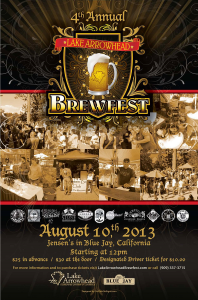 For more information, stop by any Jensen’s to pick up a Lobster Tent Event flyer or call 909-337-8484.